During recent crises we have seen confusion amongst the political elite. There has been a lack of coordination and communications strategy and an absence of charismatic figures who can play a key role in assuring people and fill the ever-growing chasm between government and citizens. 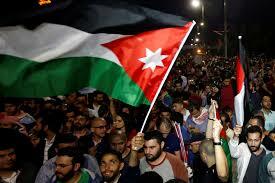 We must look back over the last fifteen years to understand what has gone wrong in Jordan and how to resolve it. Politically, this kind of review and adjustment is actually much easier in a monarchy than other political models such as a republic. The benefit of a monarchy is the ability for rapid decision making and the simple processes for implementing a solution. As such, there is an opportunity for a comprehensive review that looks at the political scene in its entirety. This is an essential process for a monarchy based on succession, which enables the start of a new phase where the people can be assured of improvement through renewal. This kind of review should also be open to constructive criticism in order to more efficiently identify where improvement is needed and how best to implement it. Renewal and improvement must be based on a platform of innovation to ensure change is forward moving, especially when it comes to technology. There needs to be an understanding that prohibition and intimidation will not stop the constant drive and evolution of technology. That kind of approach will drive people to seek ways to evade and break the laws and will not eliminate the bad behaviours that we are seeking to address. Furthermore, if there are issues with misinformation and rumours, they are usually a result of a lack of information in the first place, amongst other factors. The lack of transparency in the decision-making process is one of the major sources of rumours. The lack of courageous political actors who speak their mind and speak the same language as the people is the next most obvious issue. Today the formal narratives of government suffer from traditionalism, lack of innovation and above all the “repetition of clichés”. In order to have a place in the future we need to invest in the cultural side of people, the culture of pluralism, diversity and accepting others are key requirements to come together to face global challenges. While citizens are becoming more global, some are suffering from closed minds and the desire to eliminate those who are ideologically different and think differently to them. The government is lacking a clear strategy that is inclusive and engaging and the more this continues the more people will feel excluded and lash out. We should have learned from the assassination of the Jordanian journalist Nahed Hattar who was a victim of a lack of long-term vision from the government. There was a similarly close-minded approach to the banning of a conference in Amman to discuss enlightenment, the official reason for which was an accusation that the organisers were critical of the existence of God. We need to understand that simple issues can spark big catastrophes. We need our leaders to advance us through innovation and new ways of thinking with a long-term focus. Unfortunately, however, all the signs suggest the same approach leading to similar problems and no vision for what Jordan can be in the future.